Scientists are famous for believing in the proven and peer-accepted, the very ground that pioneering artists often subvert. 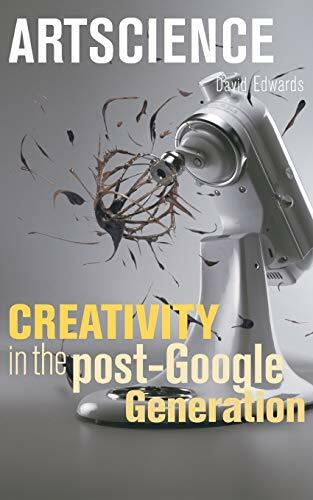 This book shows how innovation in the 'post-Google generation' is often catalyzed by those who cross a conventional line so firmly drawn between the arts and the sciences. David Edwards is Gordon McKay Professor of the Practice of Biomedical Engineering at Harvard University and is founding director of Le Laboratoire in Paris and the Idea Translation Lab at Harvard. His work spans the arts and sciences and lies at the core of a network of multi-disciplinary labs in Europe, Africa, and the United States. Edwards is the founder of Medicine in Need and the Boston-based Cloud Foundation, which oversees Cloud Place, a dynamic center for urban youth arts, and launched the $100K ArtScience Innovation Prize. The youngest-ever member of the National Academy of Engineering, Edwards was a featured speaker at Davos in 2010. His creative work is described at www.davidideas.com.